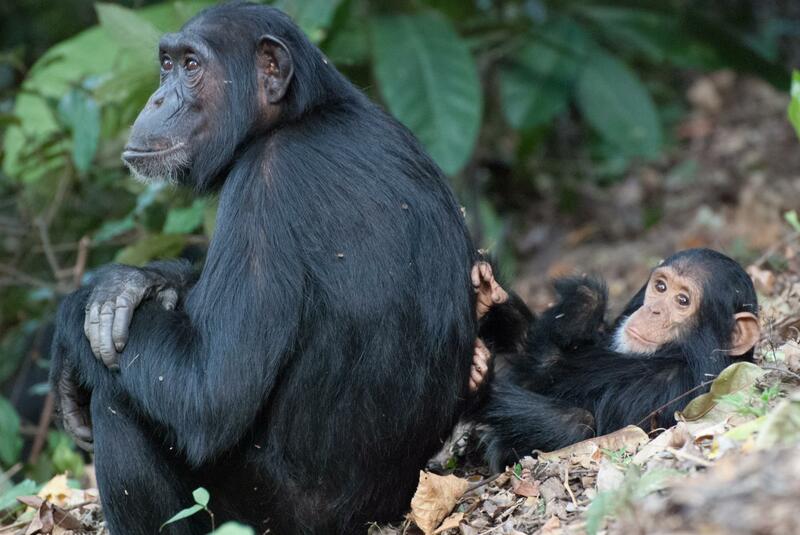 DURHAM, N.C. — New moms need social support, and mother chimpanzees are no exception. So much so that female chimps that lack supportive friends and family wait longer to start having babies, according to researchers who have combed through the records of Jane Goodall's famous Gombe chimpanzees. In contrast, stay-at-home females benefit from better support. Females also started reproducing earlier if their own mothers were around while they were growing up, particularly if their moms were high-ranking — in part because females with high-ranking moms get better access to food. The results also suggest that a lengthy journey from childhood to adulthood — long thought to be unique to the human branch of the primate family tree — may have deeper roots than previously thought. This research was supported by the Jane Goodall Institute, the National Science Foundation (DBS-9021946, SBR-9319909, BCS-0452315, IOS-LTREB-1052693, DGE-1106401), the National Institutes of Health (R01 AI 058715) and grants from the Leakey Foundation and Margot Marsh Foundation. CITATION: "Maturation is Prolonged and Variable in Female Chimpanzees," Kara K. Walker, Christopher S. Walker, Jane Goodall and Anne E. Pusey. Journal of Human Evolution, Nov. 20, 2017. https://doi.org/10.1016/j.jhevol.2017.10.010.